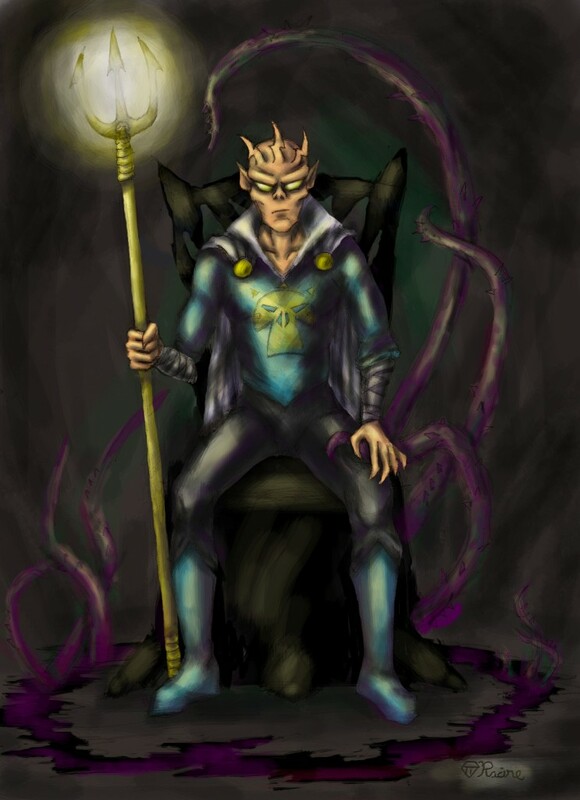 SuperFogeys - FAN ART: The Thrice Evil by Margaret Racine! I love that purple stuff. And I really want to know where that is! Is it within the portal where he and his mother were transformed? Does he return there on occasion to recharge? Is it a cave where he lives when he doesn’t want to be a part of the Lodge of Doom, because he’s so rogue and stuff? Fantastically gorgeous! I’m kinda jealous that I can’t sketch/draw even nearly half that well. I’m really loving this celebration. Thank you all very much for your kind words! It’s an honor to have my art featured here. And thanks again to Tom Racine, my podcastin’ uncle, for introducing me to SF via Tall Tale Features. Looking forward to the next five years of SuperFogeys! That’s my uber-talented niece! Who needs to do more of this stuff, dammit! Great work, Margaret! Do more! Wowwy wow wow. Great stuff. SuperFogeys - FAN ART: Dark Maiden by Margaret Racine!